KUALA LUMPUR: Destination Resorts and Hotels (DRH), an entity set up by Khazanah Nasional Bhd, got the cogwheels churning to change the face of Desaru, starting with its Desaru Coast Phase 1 carrying a gross development value of RM5bil. DRH managing director Nadziruddin Basri said the first phase, covering 1,800 acres, was targeted to be completed in 2015 but its various components would be opened as and when they were ready. “It is important to have Phase 1 come together at the same time. The idea is to stagger the project launches but have all ready in 2015. DRH's operational vehicle Desaru Development Holdings One Sdn Bhd (DDH1) chief executive Firdaus Azharuddin said Phase 2 and 3 had not been finalised because tourism planning was not easy as consumer trends changed quickly. 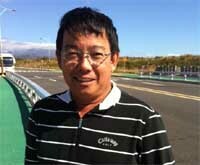 He said the remaining phases would be developed based on market demand. Firdaus said DRH had the capability to expand outside the boundaries of Phase 1 and the infrastructure would also be ready for Phase 2 and 3 when the time came. Phase 1 is 80% greenfield, with 15% pockets of land left for future development. For this 15%, Firdaus said DDH1 was opening it up to other developers but whatever they brought into the area must add value to the luxury travel theme. “We are also looking for private companies to come in and take equity ownerships in the resorts or projects we have under Phase 1 (after they are developed),” he said. To date, there are four premium resorts featured in Phase 1 including Aman Country Club and Aman Villas, Datai Desaru under the Datai Langkawi brand, Sheraton Resort and Plantation Hotel. Plantation Hotel will be linked to Themed Attractions and Resorts Sdn Bhd's two immersive water parks, Ocean Quest and Ocean Splash. The hotel will feature rooms and a dining area connected to the aquarium, giving an underwater atmosphere. DRH will partner Themed Attractions and Resorts, another wholly-owned unit of Khazanah, to package services to tourists. Other facilities available are a convention centre, golf courses, a man-made salt water river and a culinary and hospitality school. 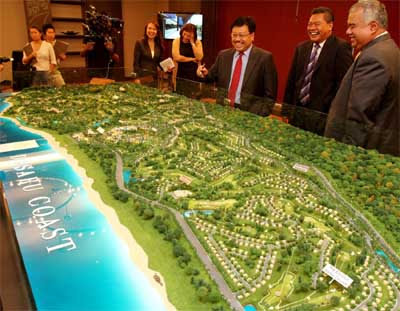 Desaru Coast Phase 1 will also include residential development under a joint venture with UEM Land Bhd. DRH targets to have 3,000 to 4,000 mixed residential units. Nadziruddin added that hotels and operators in Phase 1 were expected to break even two or three years after they begun operations. The whole Desaru Coast development, stretching 17km over 3,900 acres, is estimated to take 15 to 20 years to be completed. The Kajang Municipal Council (MPKj) plans to study how local authorities in Petaling Jaya and Subang Jaya controlled overcrowding in houses, as the phenomenon is becoming a problem within the municipality. The problem was raised by MPKj councillor Arutchelvan Subramaniams during the council’s 10th full board meeting on Wednesday. Arutchelvan said he had been informed by residents that certain properties housed more than 10 occupants, mostly foreign workers. In addition, some units were also over-occupied by students studying at an international university. “This is a new problem for us, because there were no such cases before the campus opened in the area,” said MPKj president Datuk Hasan Nawawi Abd Rahman. Arutchelvan said he had been receiving complaints over the past six months now, and the council had taken the owners of some of these illegally-partitioned houses to court. “In one case, the owner of a bungalow in Taman Tasik Semenyih had originally applied to convert the house into a meditation centre. “However, it was instead turned into an illegal hostel with 28 partitions within, each partition with its own electric meter!” said Arutchel-van. Hasan Nawawi said that since the Petaling Jaya City Council (MBPJ) and Subang Jaya Municipal Council (MPSJ) had dealt with overcrowding problems for far longer, MPKj would study their methods of controlling the problem. He said the council would also look into bylaws on overcrowding to check whether the existing regulations were adequate for enforcement, or whether the council needed to draft new bylaws to be gazetted by the state authority to combat the problem. “MPSJ has been facing this problem since the colleges sprung up. Look at the Sunway area or SS15 and its surrounding areas. “We will be calling a meeting next month so that we can start our study,” said Hasan Nawawi. He added that the council study would be led by MPKj’s Building Control Department, and it would also involve the Health and local Fire and Rescue departments. During the full board meeting, Hasan Nawawi also revealed that MPKj had received a four-star rating in the latest Auditor-General’s report for financial management, and was only one of two local authorities in Selangor, the other being MPSJ, to receive that rating. “The state government had promised a RM20,000 incentive to whichever local authority that achieved that rating, so we are feeling quite good because we have also received the same ratings from the Housing and Local Government Ministry for 2011/2012,” said Hasan Nawawi.